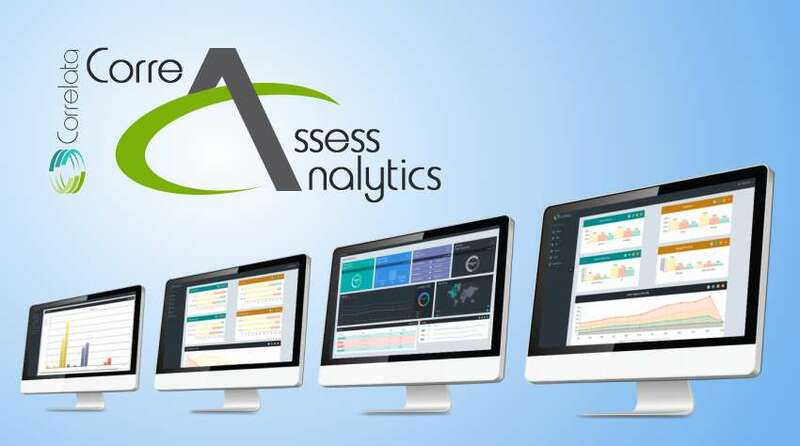 Funding enables expanded business development and technology to advance company’s pioneering Business-IT operational analytics software solution. Tuesday December 6, 2016–Correlata Solutions today closed an investment round of $1 million, led by a boutique NYC investment bank and comprised of various international investors. Correlata is the leading solutions provider in IT domain management automation, saving the average large data center 30% of its annual OpEx. Correlata ensures companies use their infrastructure investments more efficiently, and improves quality of service, while at the same time reducing risks, CapEx, etc. Correlata Solutions revolutionizes Data Center management with its unique, holistic analytical software solutions, CorreAssess. Correlata’s unique and secure technology (US Patent issued) addresses some of the key challenges of IT performance management and requirements of the digital economy and enables the extraction of business insights from technical metrics. With Correlata, companies can monitor, measure, analyze, manage and control data center operations of all IT-related infrastructure equipment, saving money while reducing cyber threats through unused left-open ports. Correlata’s strength as a leading Business-IT operations solution provider enables companies to close the gap that disrupts quality of service and business continuity. Correlata will use the $1mm investment to enhance its core technology, expand its team, and further develop its marketing and sales capabilities and partnering ecosystem worldwide. Correlata is a game-changing provider, empowering companies with complete visibility and control on ALL their Data Centers infrastructure, through accurate, detailed analytics insight on a daily basis. With Correlata’s cutting-edge Holistic Automated Analytics Platform, companies can proactively prevent infrastructure risks, cutting operations costs, and improve service delivery efficiency – all from one comprehensive platform. By providing a cross-silo predictive analytics dashboard, Correlata is changing the way organizations are managing their data center infrastructure. Correlata ensures you’re not just up and running, but highly available, resilient per your design intentions and business objectives so that the companies will get the full benefits out of the existing systems that already have purchased. This release contains “forward-looking statements” within the meaning of Section 27A of the Securities Act of 1933, as amended, and Section 21E the Securities Exchange Act of 1934, as amended and such forward-looking statements are made pursuant to the safe harbor provisions of the Private Securities Litigation Reform Act of 1995. “Forward-looking statements” describe future expectations, plans, results, or strategies and are generally preceded by words such as “may”, “future”, “plan” or “planned”, “will” or “should”, “expected,” “anticipates”, “draft”, “eventually” or “projected”. You are cautioned that such statements are subject to a multitude of risks and uncertainties that could cause future circumstances, events, or results to differ materially from those projected in the forward-looking statements, including the risks that actual results may differ materially from those projected in the forward-looking statements as a result of various factors, and other risks. You should consider these factors in evaluating the forward-looking statements included herein, and not place undue reliance on such statements. The forward-looking statements in this release are made as of the date hereof and the company undertakes no obligation to update such statements.